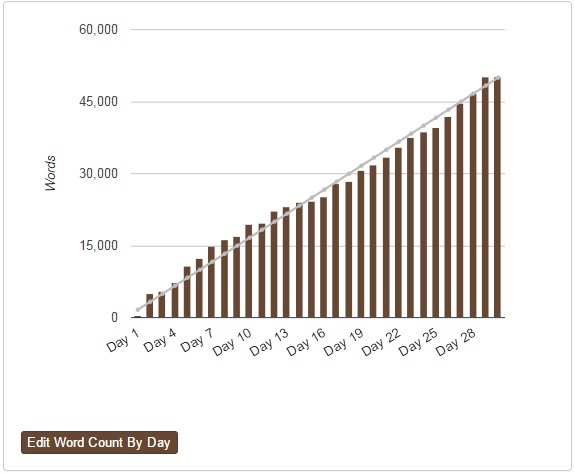 This was my seventh year of NanoWrimo. It was a struggle this year. With a 4-month old baby, and the stress of the impending closure of my children’s most wonderful school, I wasn’t sure I would make it. In the last couple of weeks, I seemed to be constantly a day behind, and I kept finding myself wandering off track, and having to stop and regroup and remember exactly where this story needed to go. I have some amazing scenes, and some incredibly dull scenes, and a lot of somewhere-in-between scenes. And writing a historical fiction has taught me there’s a hell of a lot of things I have absolutely no idea about, and the research I have done is far from sufficient. So it’s back to the books for a little while now. But with a bit of a luck, and a lot of effort, hopefully this NanoWrimo story will make it out of my own little world, and into the pages of a book.